One For All was one of the first stamp sets I ordered from the new Stampin’ Up! 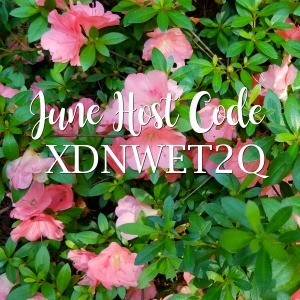 catalog, mainly because I love big sentiments that do all the work for you. 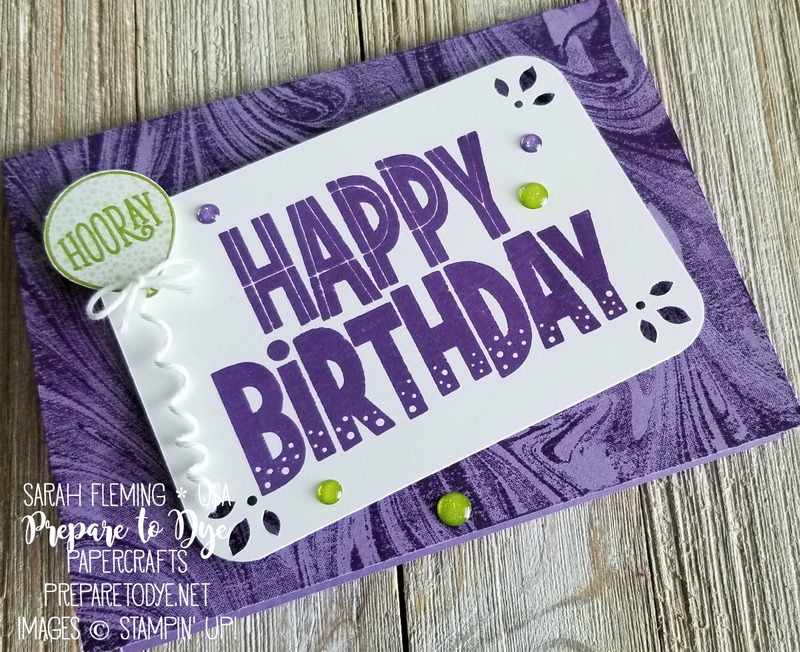 My card base is Highland Heather, and I stamped the background with the Marbled background stamp in Gorgeous Grape ink. These are two of our new purples, and I love them. 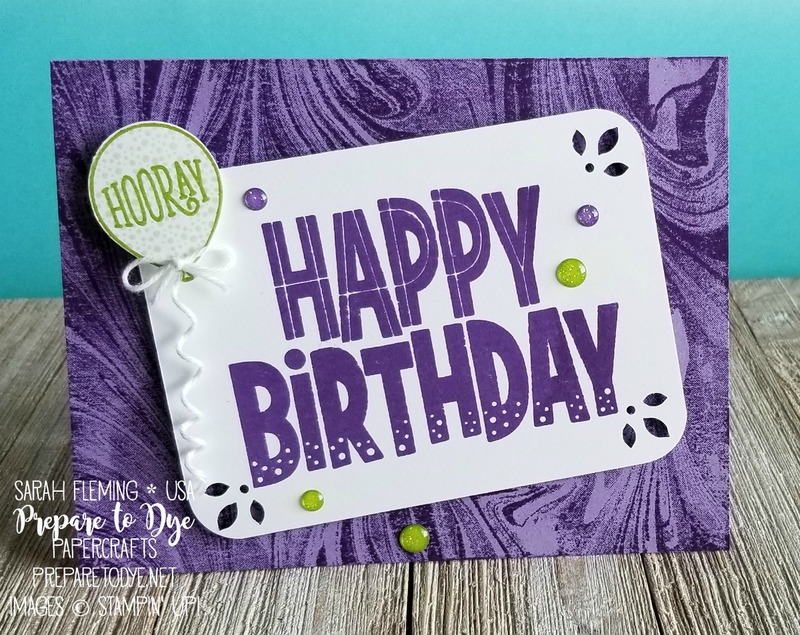 After I stamped the sentiment in Gorgeous Grape on Whisper White cardstock, I punched the corners with two of the corners of the Detailed Trio punch. I punched the floral bit first, then the corner rounder. That little balloon from Happy Birthday Gorgeous is stamped in Granny Apple Green (new favorite green!) and Soft Sea Foam and punched with the Balloon Bouquet punch. I finished the card off with Whisper White Baker’s Twine and the new Glitter Enamel Dots.